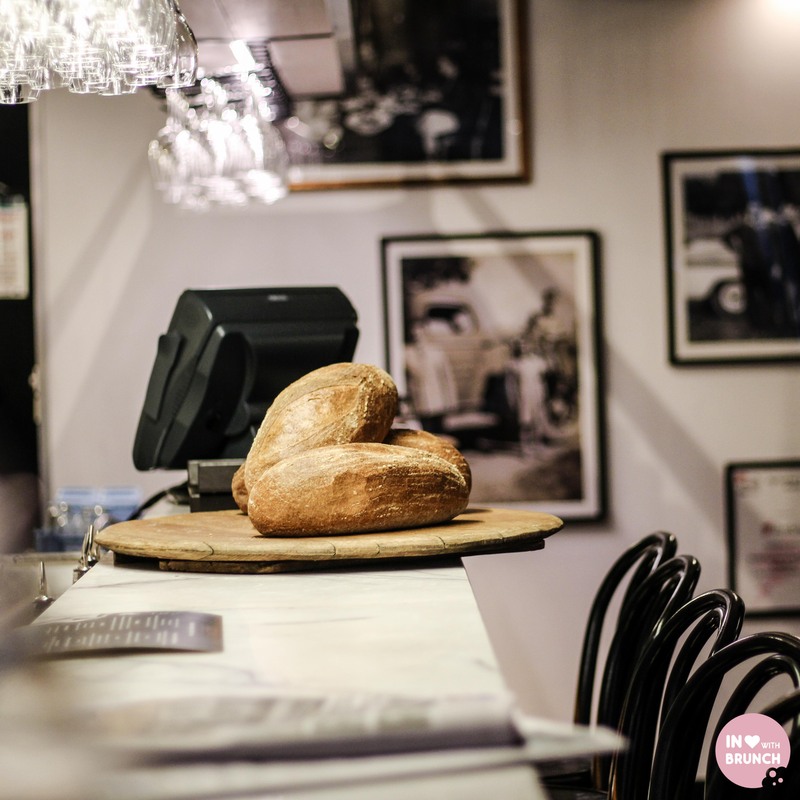 with a range of venues showcasing the best of modern italian food, wine, service and atmosphere, the bortolotto family have been a key influence in melbourne’s hospitality industry for over 40 years. 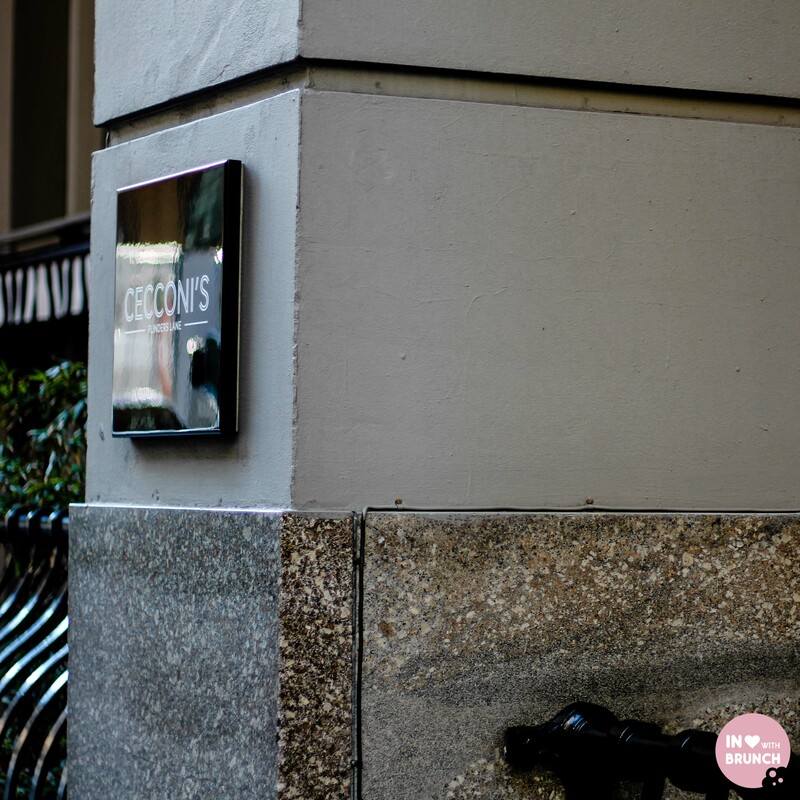 so i was super honoured to be invited to their iconic restuarant, cecconi’s, for breakfast a few weeks ago. 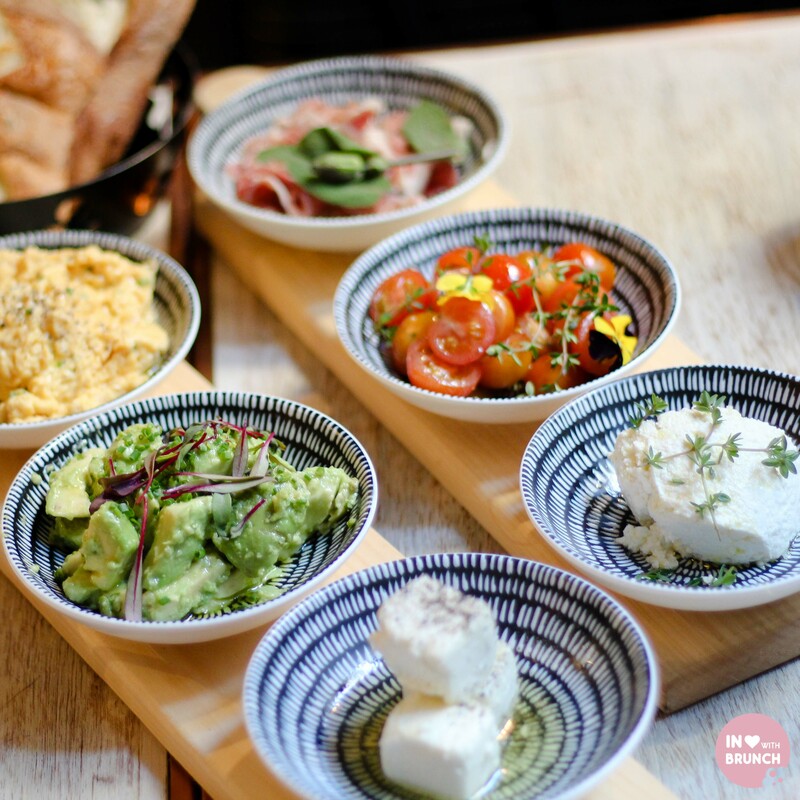 and after both travelling through europe over the past couple of months, lisaeatsworld and i both happened to be back in melbourne… so an italian establishment was a fitting venue for a brunch catch-up with plenty of amazing food adventures to tell. 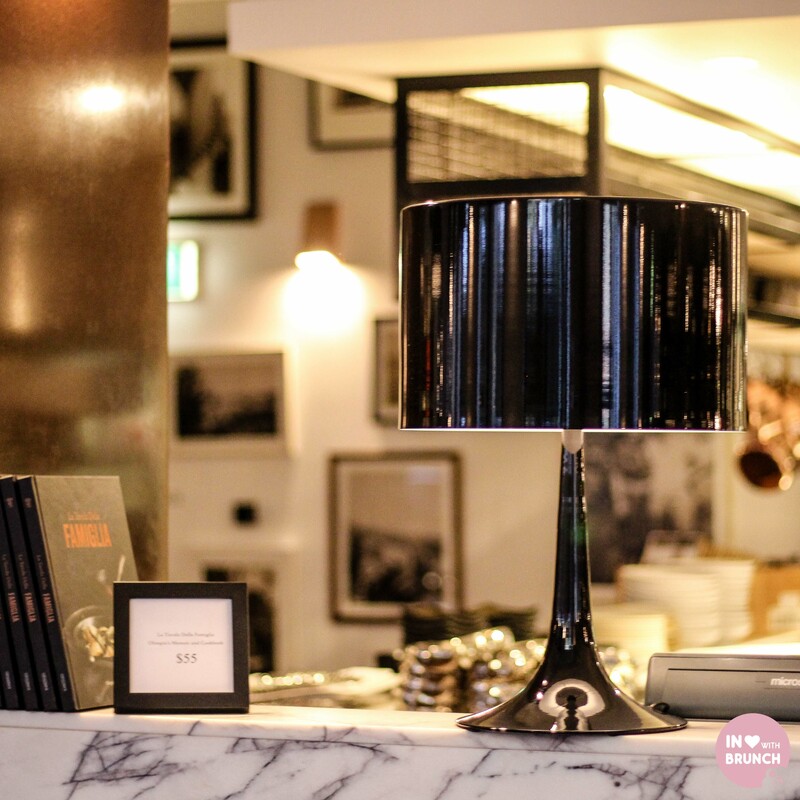 in contrast to the white minimalism found in spades in melbourne’s cafes at present, cecconi’s is awash with bold blacks, moody lighting, gorgeous marble and brass tones. it is one sophisticated interior – perfect for a business breakfast or a more ‘grown up’ experience (no hipster-beards in sight!). we were welcomed by the friendly staff and shown to a light-filled seat against the window and an offer of coffee to start. 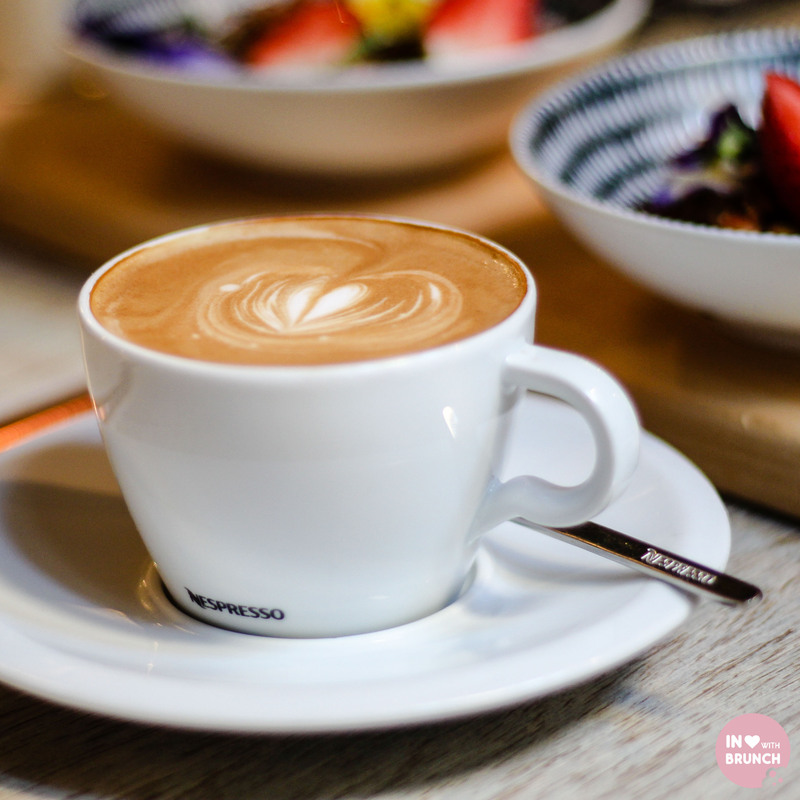 my flat white was bold, strong and just what i needed in my half jet-lagged state – not sensational, but not bad either. 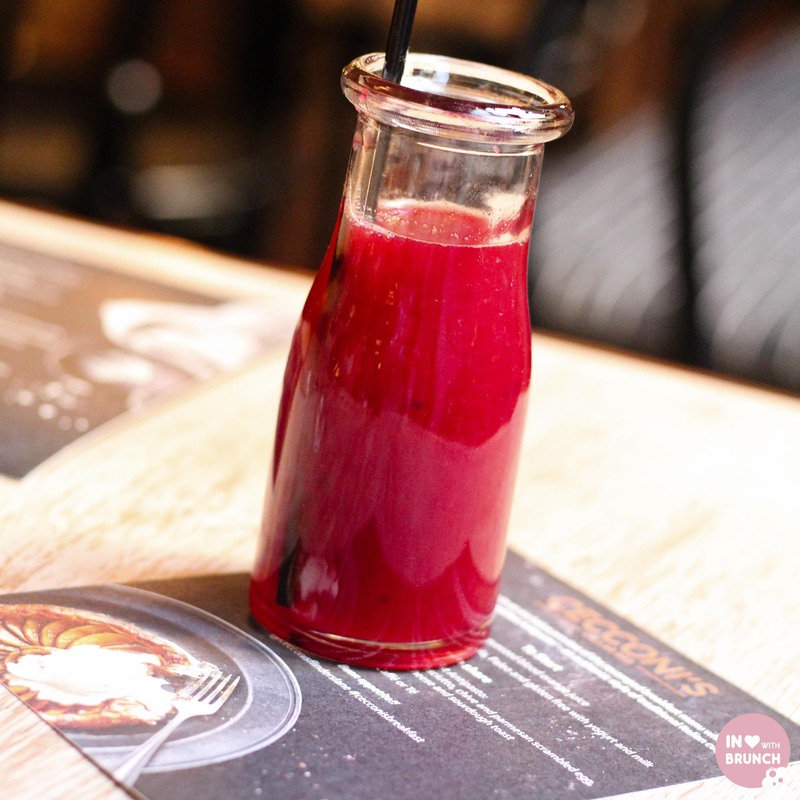 the freshly squeezed blood orange juice was a refreshing palate cleanser after the coffee – the smooth citrus flavour preparing me for the feast ahead! not only was it pretty as a picture, but crunchy and sweet as well. 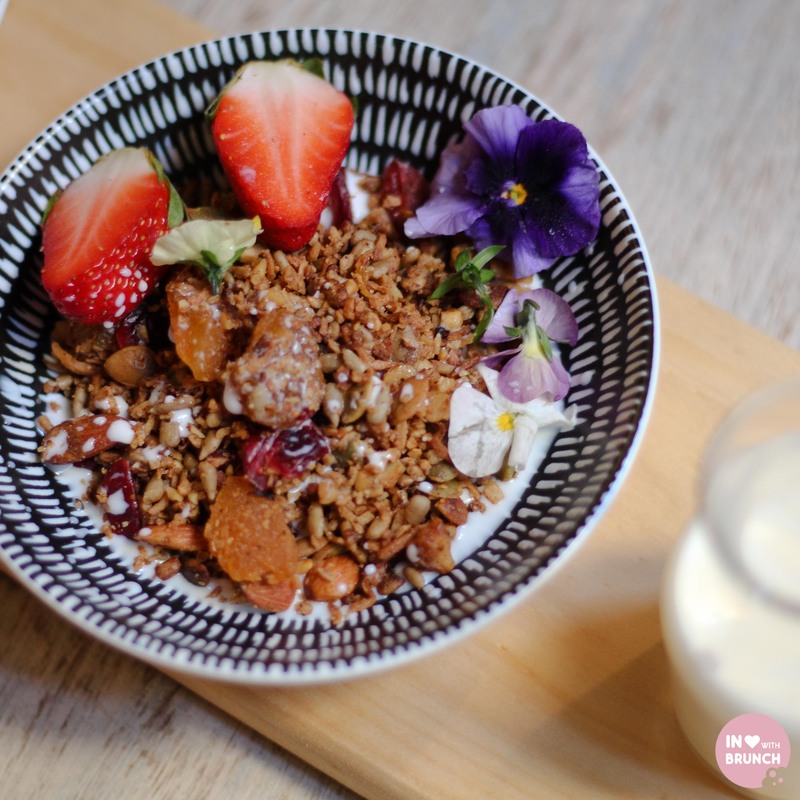 i really liked the granola mix – plenty of nuts, toasted seeds and grains to make for a complex flavour combination and interesting texture. the dried fruit really sweetened the dish and meant that the two half strawberries on top were more than enough. i’m not sure what happened to our yoghurt, but it was still nice as a milk-only-variety. delizioso! cecconi’s were also kind enough to make a fresh oat porridge to accommodate for our nut allergies. 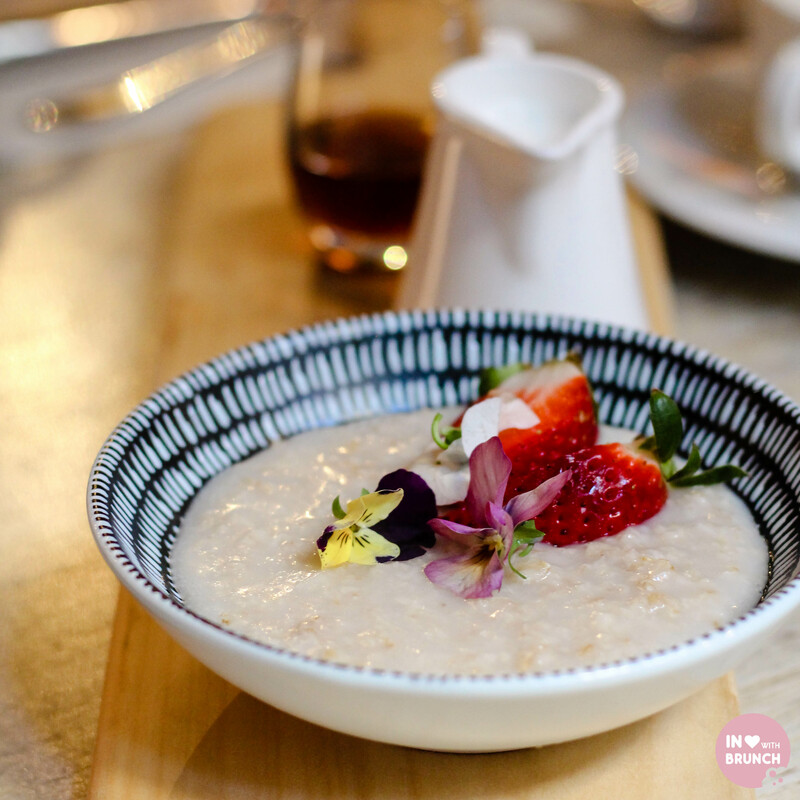 i felt like i hadn’t had porridge in forever and this was a wonderful comforting bowl of soft creaminess. easy to stuff up and hard to perfect… this was delish! offering simple quality ingredients, the antipasto platter is a selection of chive + parmesan scrambled eggs, avocado, marinated tomatoes, house-made ricotta, prosciutto and crunchy sourdough bread. the platter is designed for two… but we honestly struggled to finish these generous servings. everything was vibrant, fresh and delicious. the standouts for me were the creamy eggs, the freshly made ricotta and the fresh tomatoes which had been dressed in a tangy olive oil and rosemary. being able to pick-and-choose your combination of ingredients for each mouthful, this was a cheese-platter lovers breakfast delight and definitely brought back fond memories of recent mornings spent on our airbnb balcony overlooking lake como. 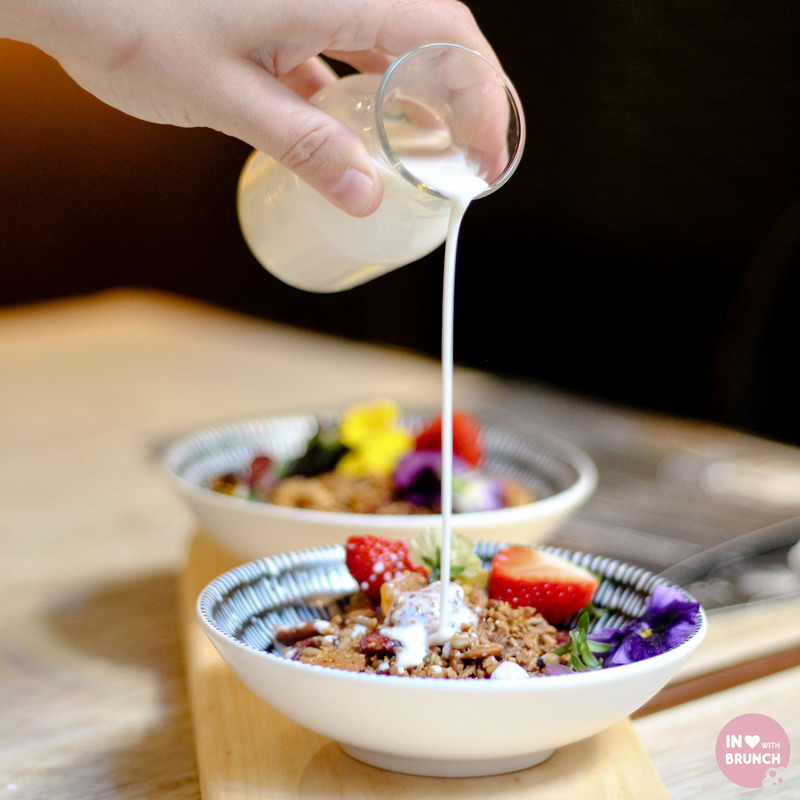 overall, it was a wonderful morning spent with lisaeatsworld – great food, plenty of travel tales to tell and a beautiful relaxing atmosphere. 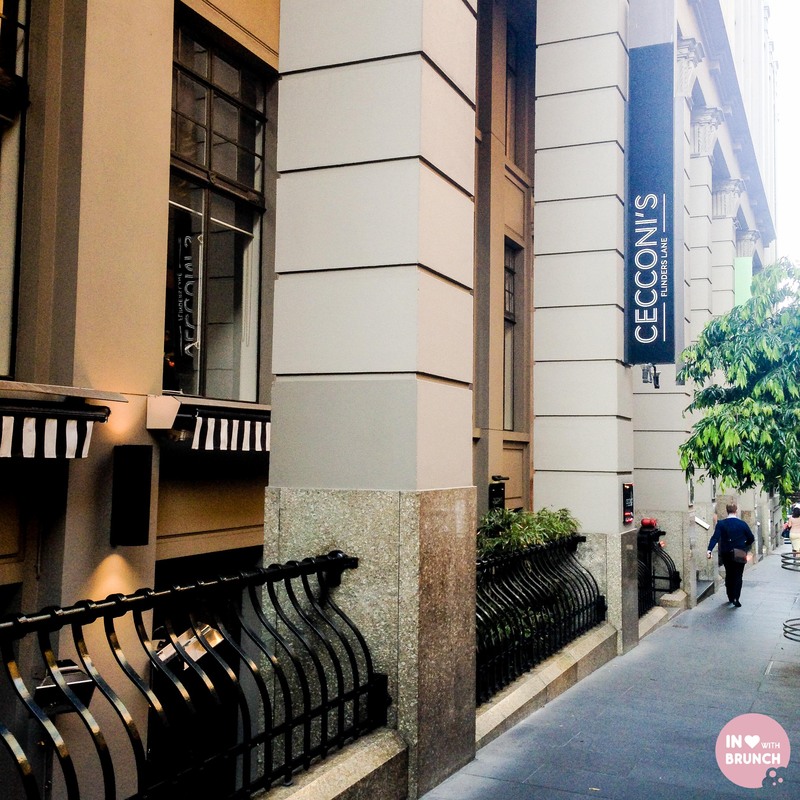 available weekday mornings on picturesque flinders lane, cecconi’s is an ideal melbourne city breakfast option with a touch of italy. 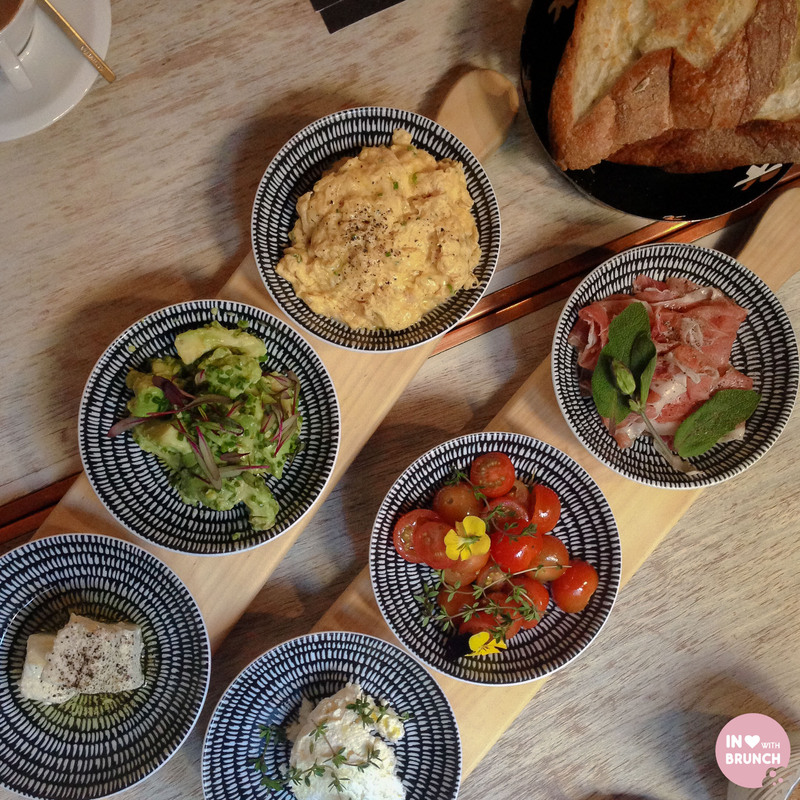 verdict: beautiful breakfast with italian influence… bellisimo!